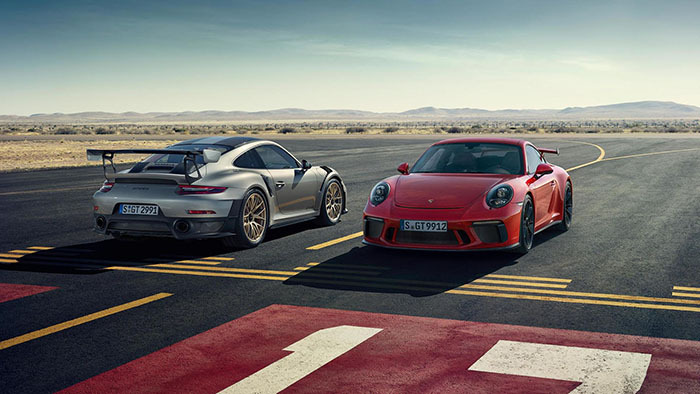 The design of the new 911 GT2 RS must therefore reconcile diametrically opposed requirements: top speed (maximum drag coefficient) on the one hand and race-optimized aerodynamics (maximum downforce) on the other. No easy task? Our engineers love reaching new heights, especially when things get tricky. From words to actions: the powerful air intakes of the aerodynamically-shaped front apron ensure optimum cooling. 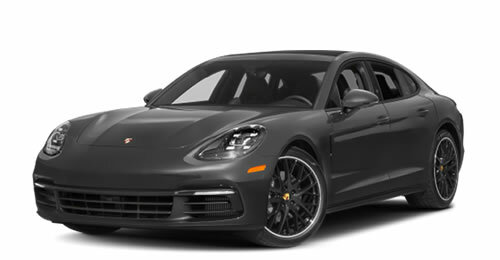 The additional air outlet at the front of the hood assists the airflow of the central radiator, while providing aerodynamic downforce on the front axle by deflecting the airflow. 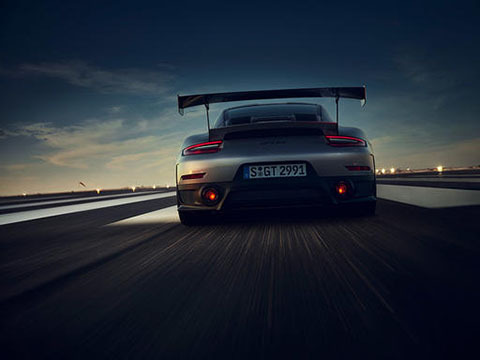 But it's the wide, rear spoiler lip that makes the biggest contribution to downforce. All air vents are protected by titanium-colored air intake grills. 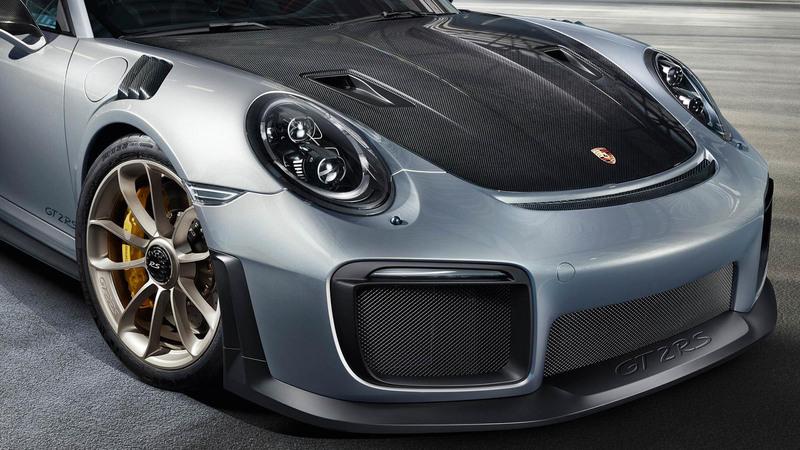 Motorsport technology is also present in the front wheel arch ventilation on the fenders, where carbon slats provide efficient ventilation. 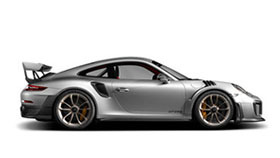 This reduces the excess pressure produced by the rotating wheels and thus the downforce. This so-called louvre – coincidentally? – resembles the gills of a shark. 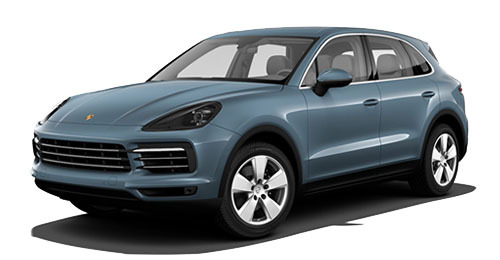 A highly functional detail: two vents on the front lid. 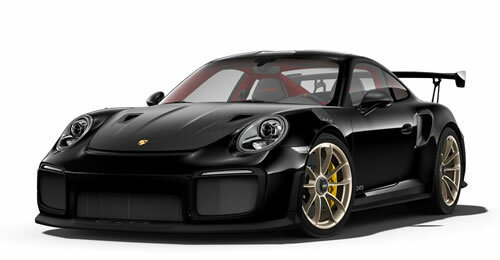 These so-called NACA air intakes are already used for the interior ventilation of the 911 GT3 Cup cars. 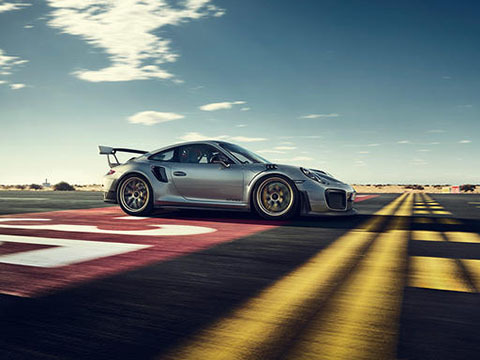 On the 911 GT2 RS, it's the first time they have been used to ventilate the braking system of a series-production Porsche , without reducing the drag coefficient. Their shape was developed by the National Advisory Committee for Aeronautics (NACA), the predecessor of NASA. 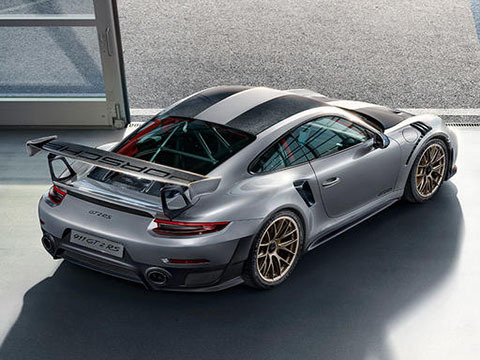 The new 911 GT2 RS is based on the extra-wide body of the 911 Turbo . 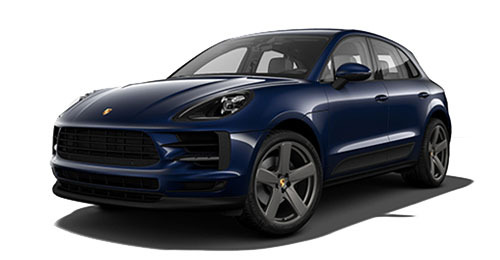 Its full contours are instantly noticeable at the rear, where the low-profile, tinted LED rear lights underline its appeal. 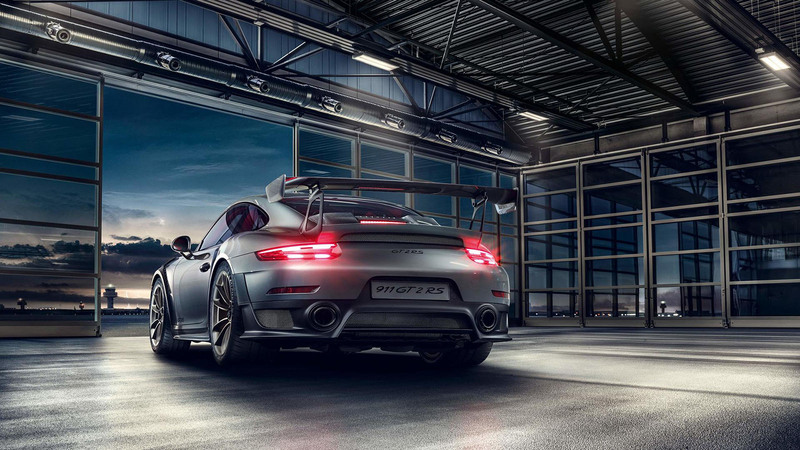 The fixed rear wing in carbon-weave finish makes its own contribution to the overall impression of sporty performance. The wing uprights are produced from forged aluminium; the new side plates painted in the exterior color. A horizontal exclamation mark, if you will. The two ram-air scoops on the trunk – the ram-air collectors – are also made of carbon and supply the engine with combustion air. The rear panels with large exhaust apertures are specific to the 911 GT2 RS. 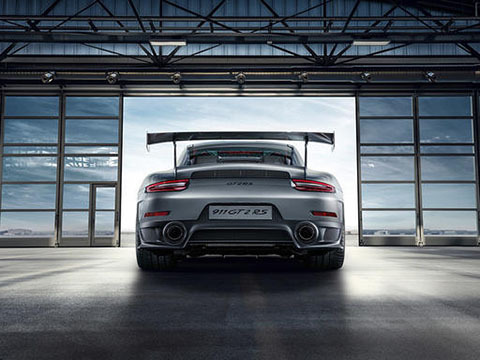 At the rear of the underbody, four fins increase the aerodynamic effect of the diffuser. In summary: ideal aerodynamics for the racetrack and a good drag coefficient for long straights. Harmonized in a plain-speaking design. How does the saying go? You will be judged by your actions, not by your words. The evidence: consistent lightweight construction down to the last detail. 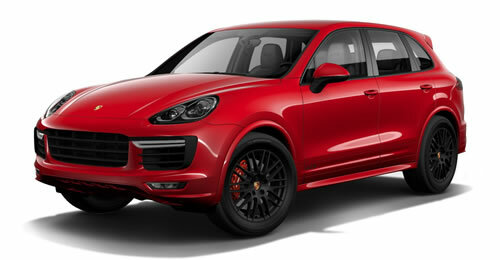 For a power-to-weight ratio of just 2.85 kg/kW (4.63 lb/hp) – allowing outstanding performance. Argumentation: see below. The hood, front fender, wheel arch vents, upper part of the SportDesign exterior mirrors, air intakes in the rear side panels and parts of the rear are produced from carbon fiber reinforced plastic (CFRP), as are many of the interior components. 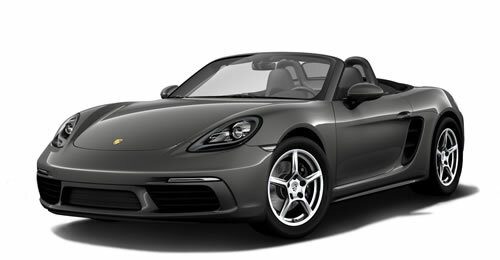 The hood is also made from carbon fiber and contoured in the middle, as is the magnesium roof. This crease is not only a visual distinguishing feature of these lightweight components, but also increases their rigidity. 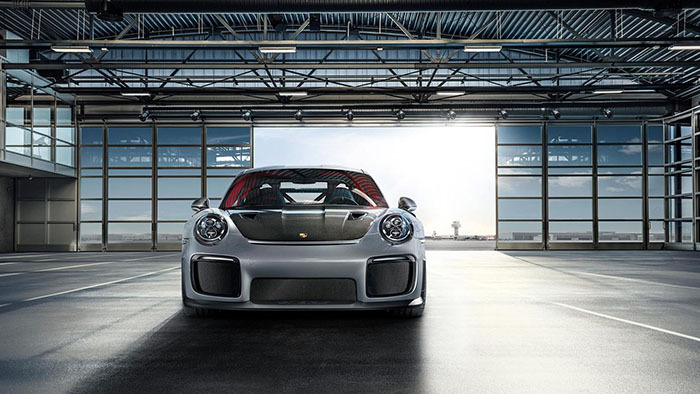 Intelligent, lightweight construction using an aluminium–steel composite reduces the vehicle weight. Another weight reduction that increases performance: lightweight polyurethane with hollow, glass microspheres and carbon fiber elements. 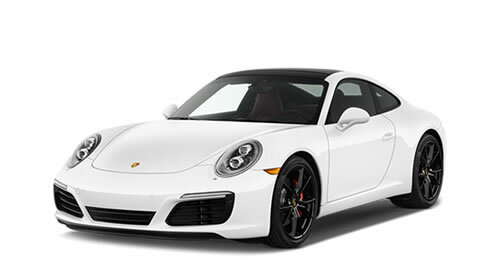 This light yet extremely strong high-tech material has been used in the front and rear panels. 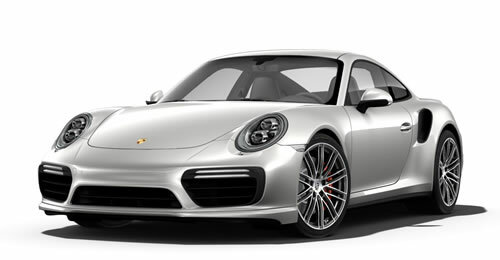 Porsche has used lightweight glass for the first time – for the rear and rear side windows. 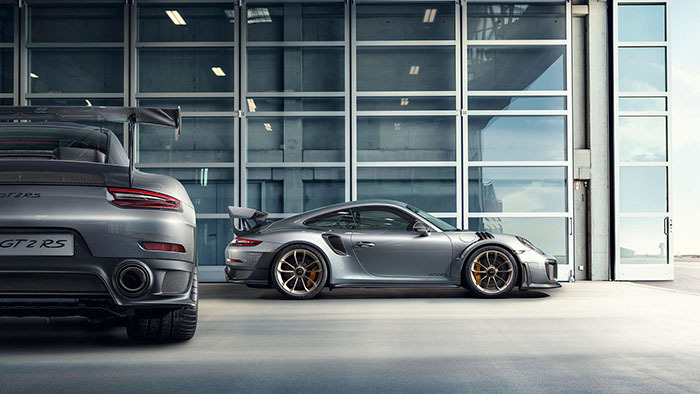 The new 911 GT2 RS is a high-performance beast, which takes its driver's breath away. And yet our developers have further increased the intensity, sheer presence and uniqueness of this exceptional athlete with the optional Weissach package. Visual appearance and lightweight construction form a real synthesis, with the particular focus on saving weight. 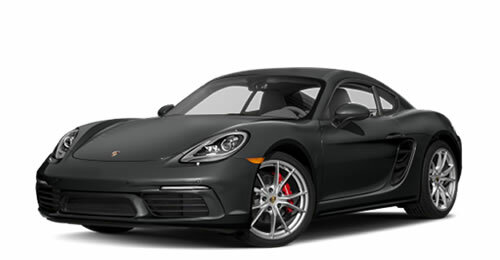 For the first time in a series-produced car, the stabilizers on the front and rear axles are made of carbon, as are their coupling rods – for outstanding performance. A visual distinguishing feature of the Weissach package is the central decorative strip in vehicle color on the carbon-weave finished hood and roof. It certainly lends the 911 GT2 RS its distinctive appearance. 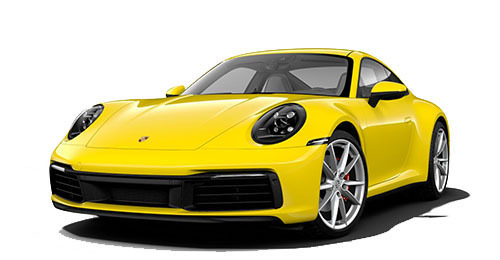 A highly visible, unyielding feature is the 'PORSCHE' logo on the rear wing. From lightweight plastic to lightweight metal. 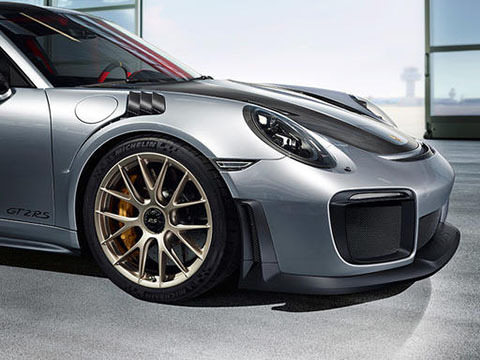 The magnesium wheels painted in white gold make the new 911 GT2 RS fitted with the Weissach package approximately 40 lbs lighter – and also enhance its visual appearance. A double victory, so to speak. 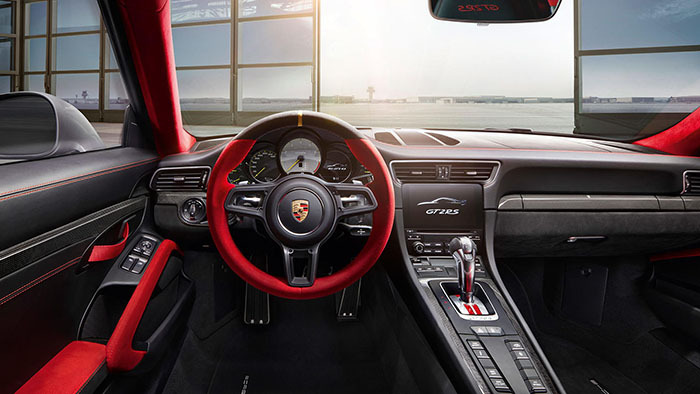 The interior is also lightweight: The ultra-light shift paddles and steering wheel trim are made with a carbon-weave finish. Isn't it impossible to use lightweight materials in every detail? No. In their search for further weight savings, our vehicle developers have even made the floor carpet trim lighter. Because every ounce counts. 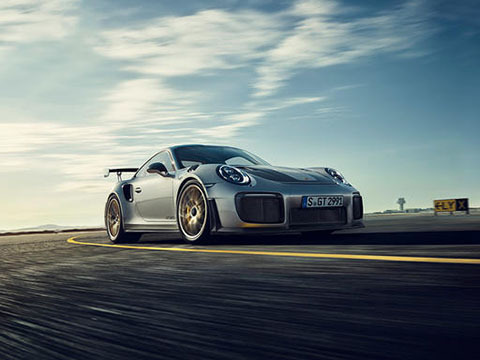 With a displacement of 3,800 cm³, the engine produces an impressive 515 kW (700 hp) at an rpm of 7,000. Maximum rpm is 7,200, and the maximum torque of 553 lb/ft is available from just 2,500 rpm. Sustainably unyielding – with sustainable performance. A quick look at the speedometer. It goes up to TBA mph. 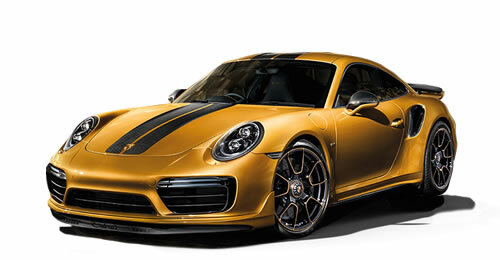 A figure that will bring tears of joy to the eyes of every sports car fan. And also sets the tone for the top track speed: 211 mph Vmax. 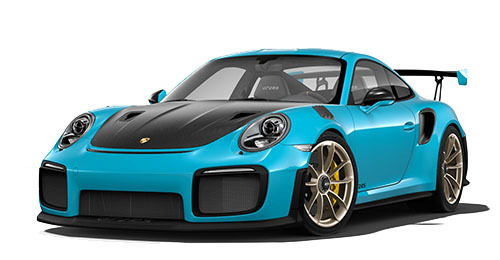 How does the new 911 GT2 RS achieve this? Quickly, of course. 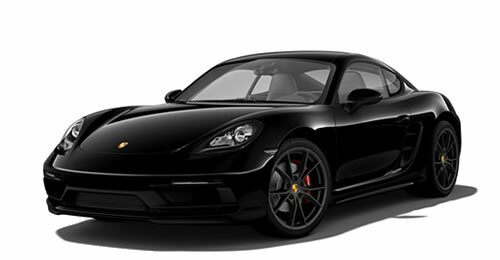 It ticks the acceleration from 0 to 60 mph box after just 2,7 seconds. It reaches the 124 mph mark after only 8.3 seconds. And after 22.1 seconds the 186 mph mark is water under the bridge. 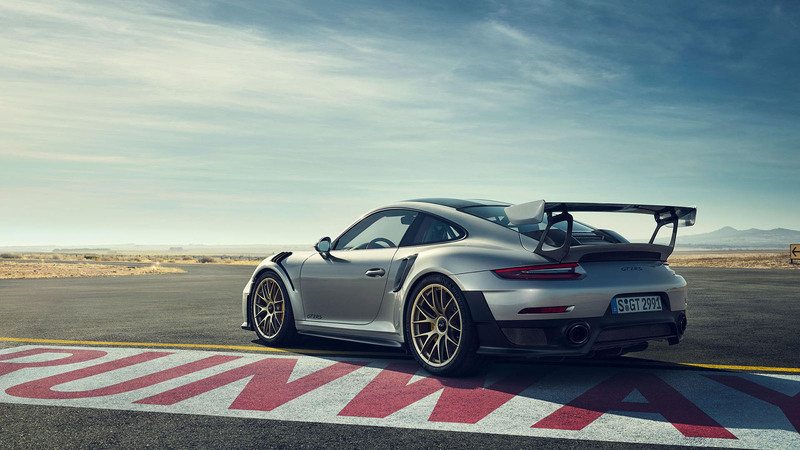 The variable turbine geometry of the twin water-cooled turbochargers arranged in parallel directs the incoming exhaust gas towards the turbine wheel via electronically controlled, moveable vanes in such a way that the ratios of both a 'small' and 'large' turbocharger can be achieved. VTG therefore largely eliminates the target conflict of a normal turbocharger – and enables optimum aspect ratios to be achieved in every operational state. 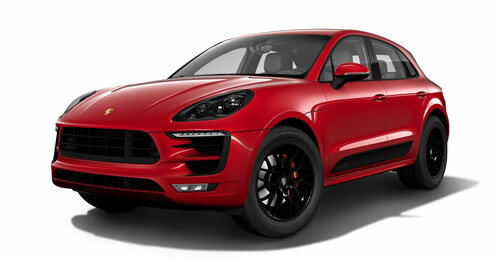 Regarding the PDK technology: it consists of two half gearboxes mounted in a common housing. Two half gearboxes require two clutches. 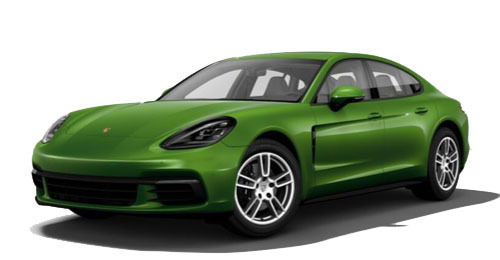 This double-clutch arrangement alternately connects these two half gearboxes to the engine via two separate drive shafts, depending on the current gear. When changing gear, one clutch engages and the other simultaneously disengages, allowing gear changes to take place in milliseconds, with no interruption in the flow of power. Anyone who shies away from confrontation should stay at home. 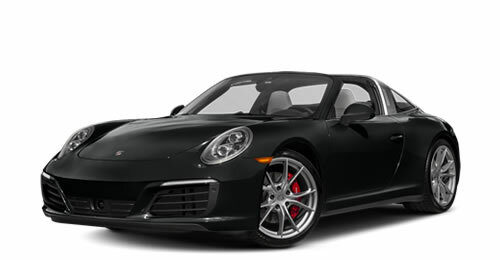 Anyone who doesn't tolerate a tough approach should drive a different car. 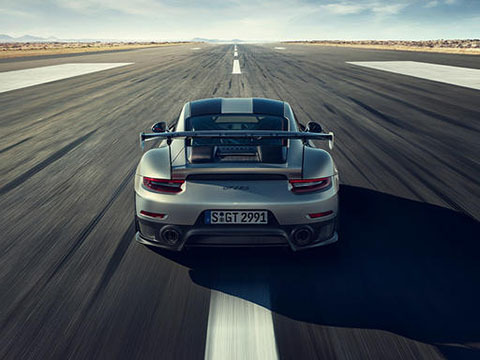 However, anyone who not only likes to get up close and personal with the tarmac, but also with their endorphins, is in exactly the right place. 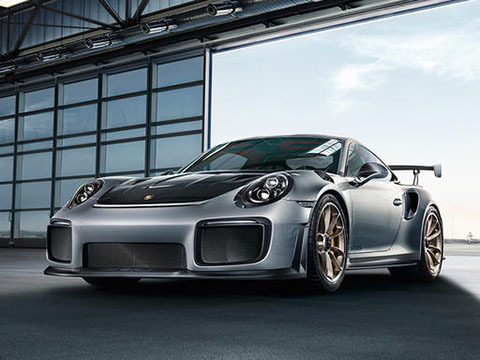 Because the tuning and control systems of the 911 GT2 RS will bring you closer than you could ever imagine to Fascination Sports Car. 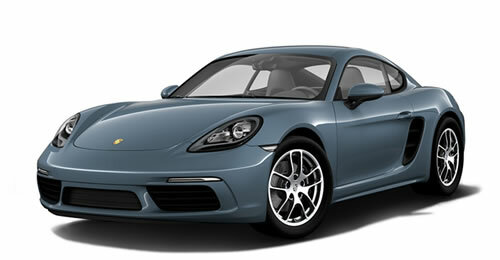 The chassis is designed to meet the high requirements at the limits of dynamic driving performance. 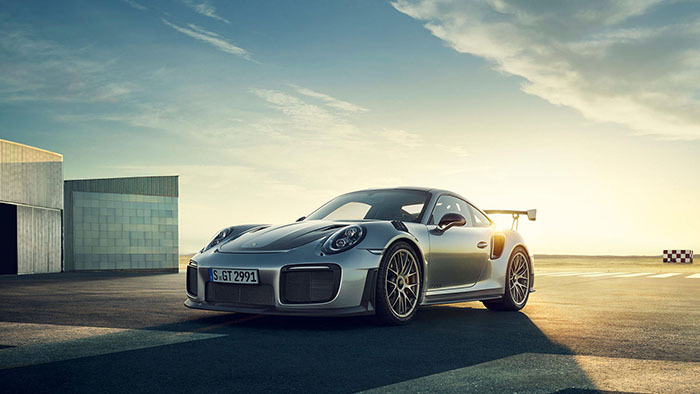 In combination with specially-tuned chassis elements, the new 911 GT2 RS offers exceptional agility, maximum safety at high speeds and extremely stable roadholding. 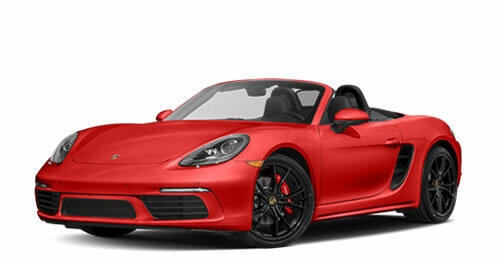 The front axle uses a MacPherson strut suspension with helper springs and wheels independently suspended on the trailing arms and wishbones. At the rear is a multi-link axle with helper springs and subframe, based on the LSA concept (lightweight, stable, agile). The height, camber and track can be individually adjusted for use on the racetrack, as can the stabilizers. 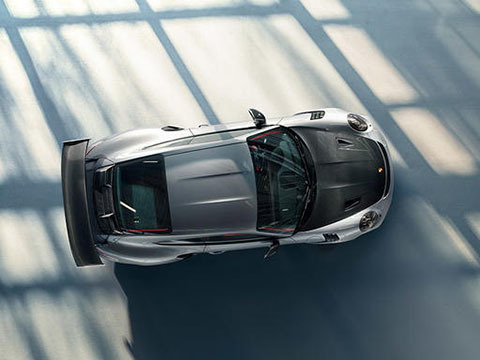 For the first time in a Porsche road-going vehicle, all the chassis joints have been replaced by ball joints in the new 911 GT2 RS, ensuring an extremely rigid connection between the chassis and the body. For accurate, sharp and direct roadholding. And for total emotional contact. 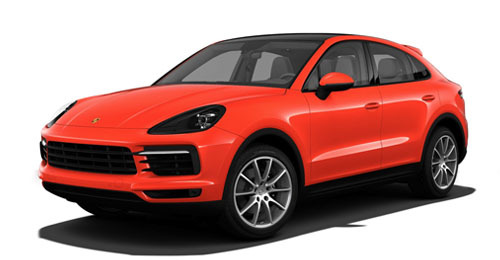 An optional lift system on the front axle lifts the front of the vehicle by 1.2 in – up to a speed of approximately 37 mph – thereby reducing the risk of hitting curbs, ramps or garage entrances. 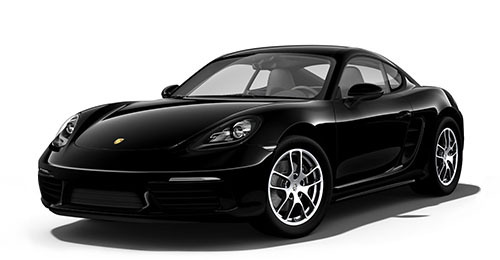 The benefit at high speed: the system steers the rear wheels in the same direction as that of the front wheels. 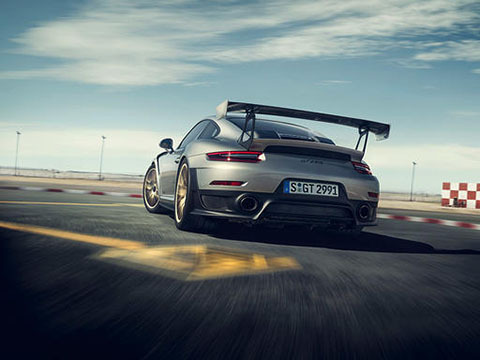 The virtual effect of lengthening the wheelbase increases driving stability and thus agility, especially during rapid lane changes or overtaking manoeuvers on the racetrack. This electronically controlled system minimizes the perceptible oscillations and vibrations of the entire drivetrain, particularly of the engine, and combines the benefits of a hard or soft transmission mounting arrangement. A hard transmission mounting arrangement is best for driving dynamics, as it results in highly accurate roadholding. 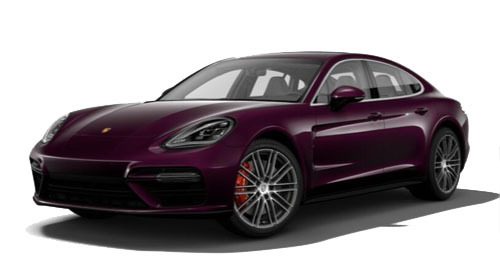 A soft transmission mounting arrangement, on the other hand, minimizes oscillations and vibrations, thereby improving comfort on uneven road surfaces, but at the expense of driving dynamics. 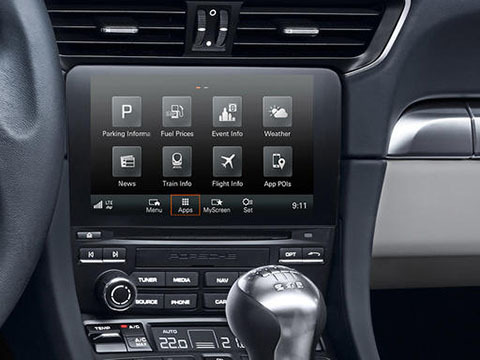 You can switch between two sporty programs at the touch of a button. 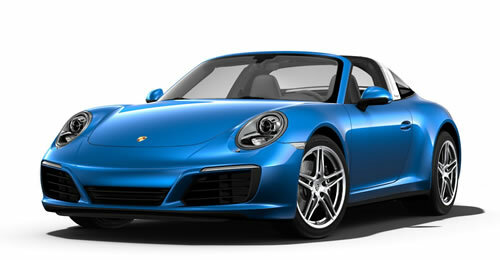 Normal mode is designed for sporty driving on public roads and wet race circuits. 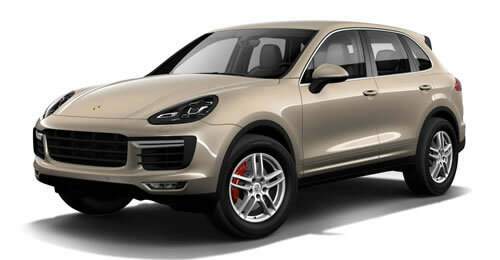 Sport mode is specially designed for maximum lateral acceleration and optimum traction on the racetrack. 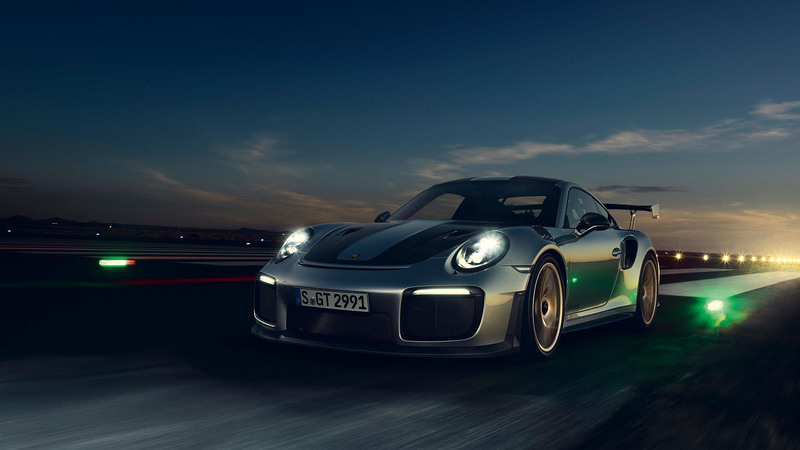 What's so special about PSM on the new 911 GT2 RS: the regular systems interventions are highly sensitive and accurate – and can be switched off completely in two stages. 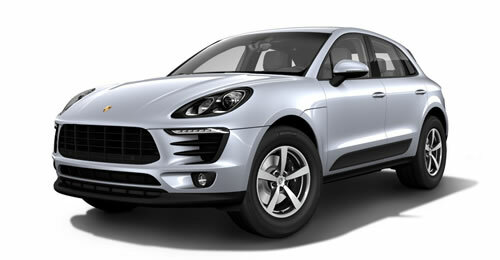 For targeted, sporty handling. 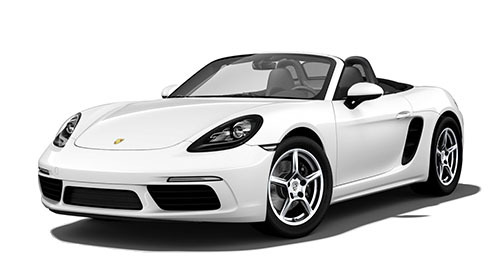 To actively control the differential lock, a number of driving parameters are considered. The result: increased traction, especially at the limits of dynamic driving performance, better transverse dynamics and significantly improved driving stability during load changes, in bends and when switching lanes. 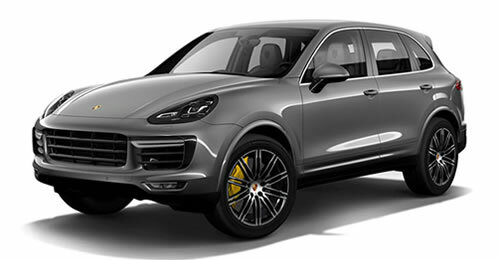 The system also selectively applies brake pressure to the right and/or left rear wheel. So brake pressure is applied to the inside rear wheel as soon as the steering kicks in. 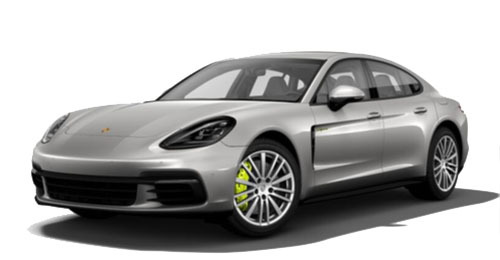 A greater amount of drive force is distributed to the outside rear wheel, thereby pulling the car into the bend, as it were. Steering is therefore improved and agility increased. 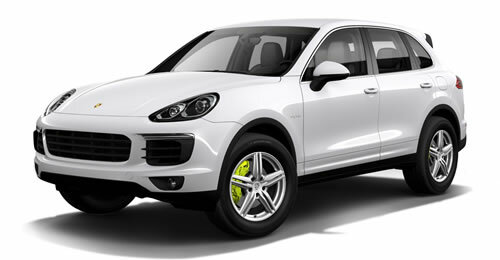 20-inch wheels on the front axle, 21-inch on the rear axle. 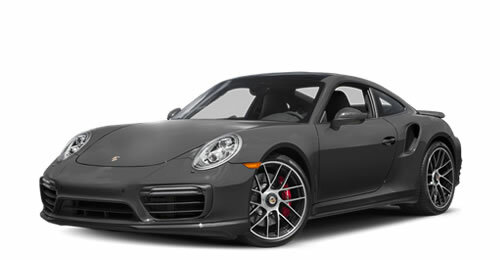 In words: big, wide wheels, large tire contact area, great driving dynamics. In numbers: front 265/35 ZR 20 tires on 9.5 J x 20 wheels, rear 325/30 ZR 21 tires on 12.5 J x 21 wheels. 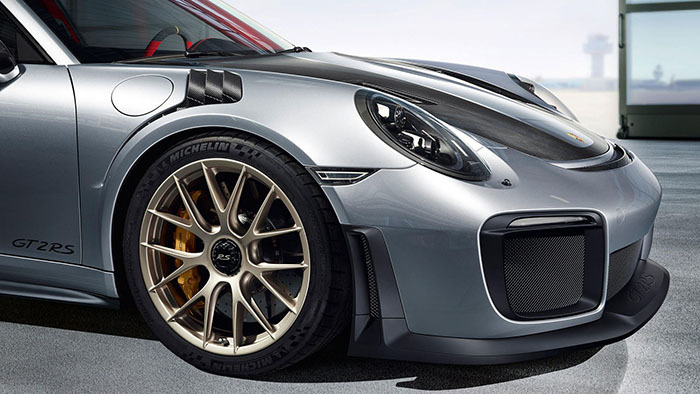 The new, light-alloy wheels of the 911 GT2 RS are painted in White Gold Metallic (high-gloss) and characterized by visible, recessed 'GT2 RS' logos on the rim. 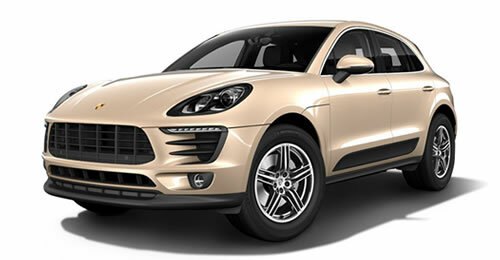 At this performance level, the central locking system goes without saying. The central wheel bolts are black and feature the distinctive 'RS' logo. The standard Tire Pressure Monitoring (TPM) not only warns in the event of a gradual or even sudden loss of pressure, but also has a sport mode that takes account of the lower pressure of cold tires at the beginning of a race. 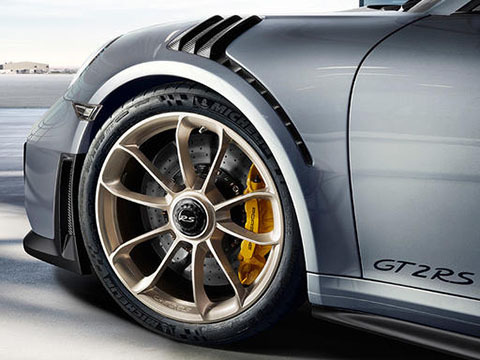 The size of the ceramic brake discs takes account of the performance potential of the new 911 GT2 RS. 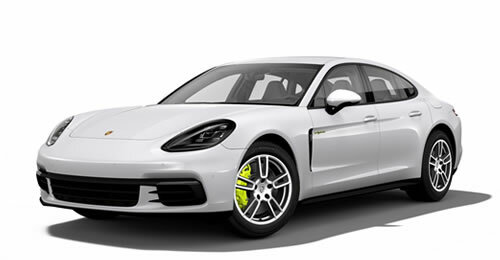 The cross-drilled ceramic brake discs have a correspondingly large diameter of TBA in at the front axle and TBA in at the rear – for even more formidable braking performance. The unique language of Porsche : the five round instruments integrated into the cockpit with the rev counter in the middle. The dial is titanium colored, the needles and increment markings are yellow. A sporty pointer, as it were. The instrument cluster with a 4.6-inch color display constantly supplies you with data from the on-board computer. You can also access the Tire Pressure Monitoring (TPM) data, as well as the stopwatch of the optional Chrono Package. 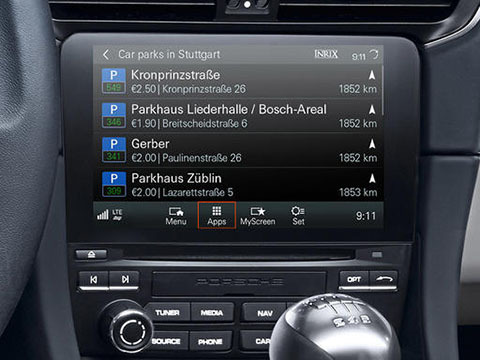 It also provides information about communication and audio settings and displays the navigation system map. The materials represent a clear, sporty design and maximum quality. 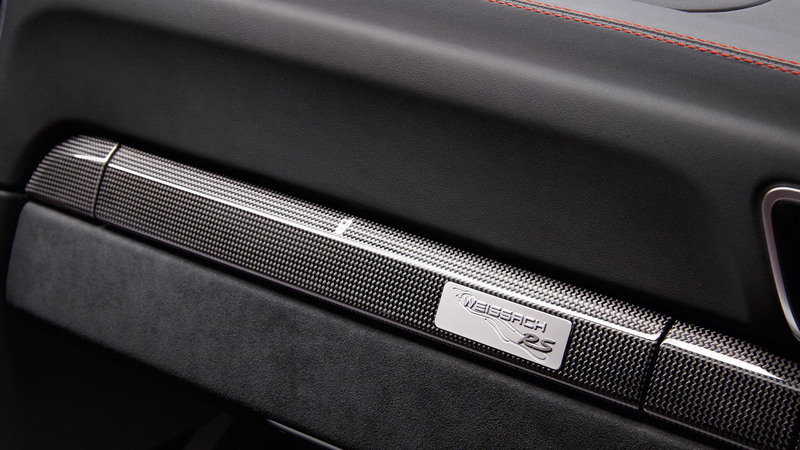 They are dominated by red Alcantara®, black leather and the carbon-weave finish of many of the interior components. 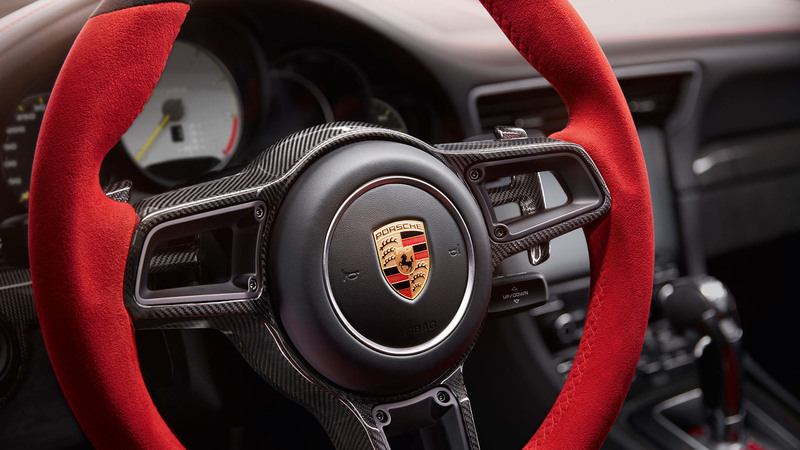 Alcantara® is easy to grip and maintain and also washable. For this reason, it's mainly used in places where there is direct contact: on the steering wheel rim and gear stick as well as on the door handles, door armrests and lid of the center console storage compartment. 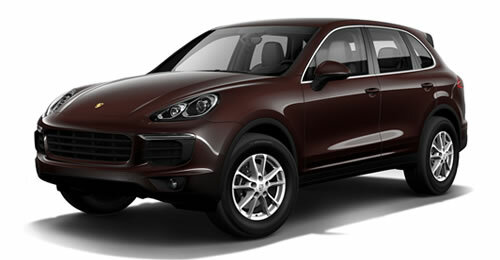 The roof lining and A, B and C-pillar trims are also finished in Alcantara®. Carbon-weave finish is used on the dashboard trim strip, center console trim and door sill guards featuring the 'GT2 RS' logo, for example. 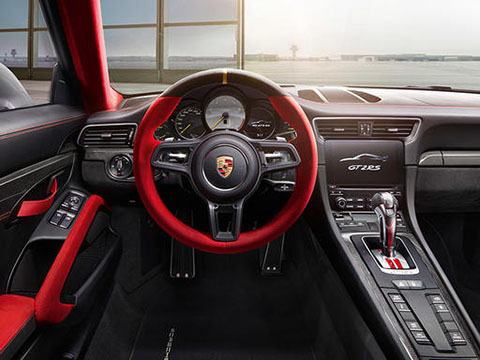 The Sports steering wheel can be axially and vertically adjusted by up to TBA in. 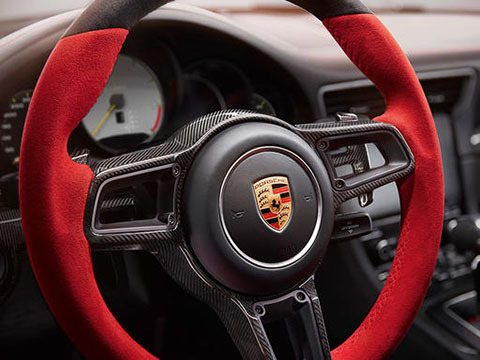 The steering wheel rim is made of black and red Alcantara®, is easy to grip, feels comfortable even during sporty driving and features a trendsetting top center marking in yellow. The standard equipment includes full bucket seats made entirely of carbon-fiber reinforced plastic (CFRP). As well as their sporty appearance and excellent lateral support, they are also height-adjustable, meaning that the full bucket seat can be lowered by up to 1.2 in. or raised by up to 0.8 in. The height adjustment is electric, and the fore/aft adjustment manual. 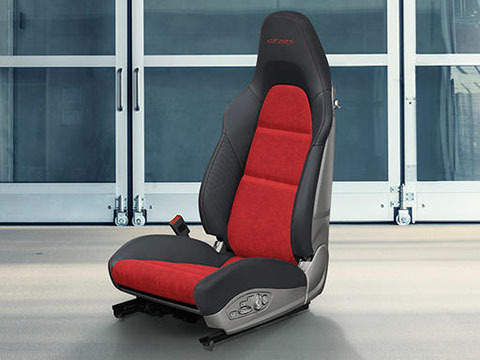 The seats are upholstered in black leather with seat centers in red Alcantara® as standard. The headrests feature an embroidered 'GT2 RS' logo in red. 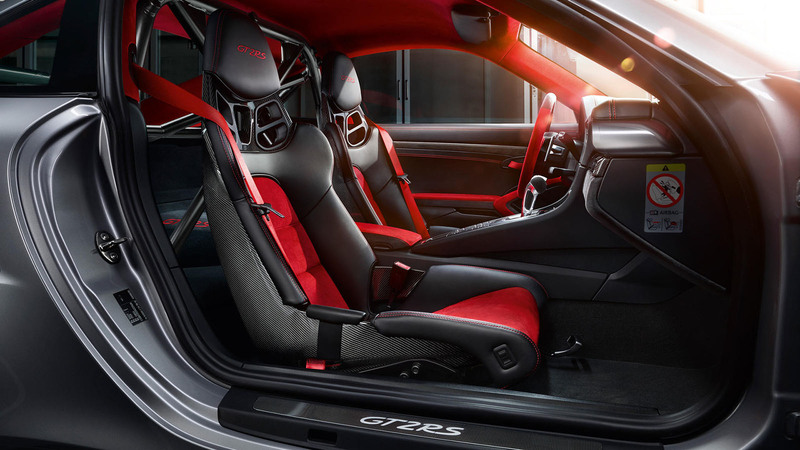 A combination of sport and comfort, everyday and racetrack driving: the optionally available adaptive Sports seats Plus, with leather side bolsters, seat centers in red Alcantara® and headrests featuring an embroidered 'GT2 RS' logo in red. With 18-way electric adjustment, these seats are ideally suited to your needs with regard to height, seat and backrest angle, fore/aft adjustment and four-way lumbar support. The side bolsters of the seat and backrest are also individually adjustable. For tailored lateral support when cornering and improved comfort on long journeys. 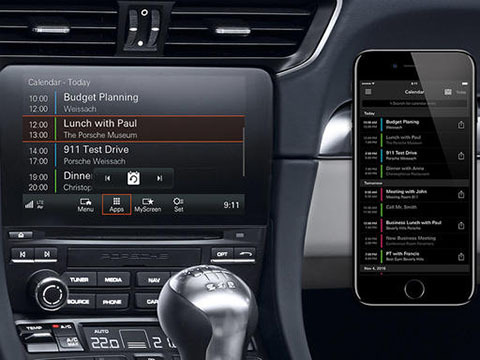 The ' Porsche Track Precision app' allows you to record, display and analyze detailed driving stats using your smartphone. 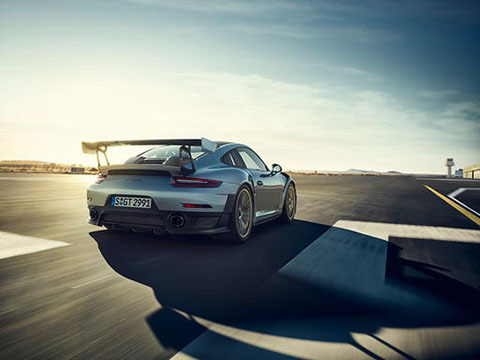 Lap times can be clocked automatically via a precise 10-Hz PCM GPS signal, or manually via the control lever of the optional Chrono Package, or even more accurately using the lap trigger optionally available from Porsche Tequipment, and then compared using your smartphone. When racing, the app visualizes the driving dynamics on your smartphone and also displays any deviations from a defined reference lap, along with sector and lap times. 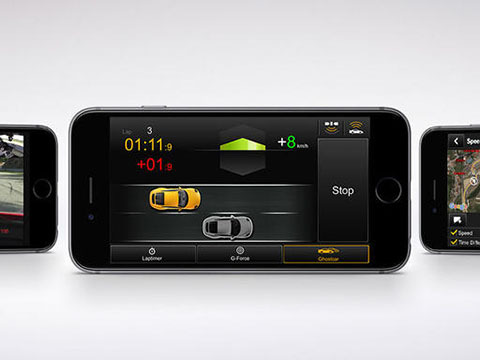 Graphical and video analyses of driving stats help the driver further improve their performance. You can also instantly manage and share records, routes and driver profiles using your smartphone. 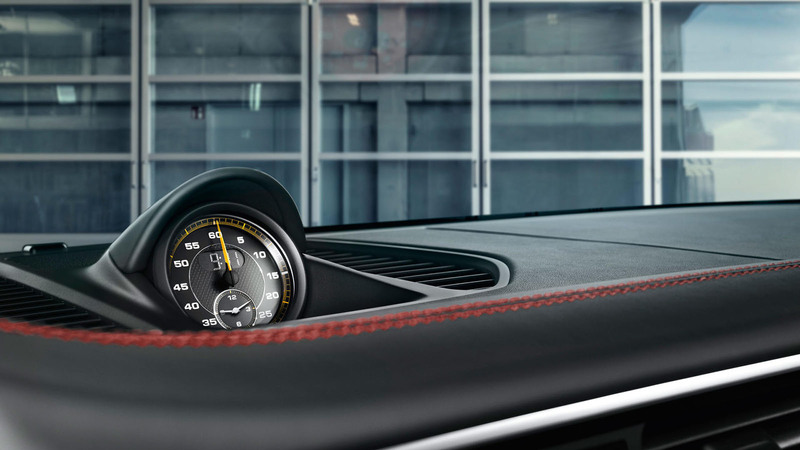 In addition to the analog and digital stopwatch on the dashboard, the optional Chrono Package also offers the following functionality: upgraded PCM to include a performance display, enabling you to view, store and evaluate measured lap times. The driver can therefore obtain information about the timing and driven route of the current lap, as well as the previous laps and times achieved. The fastest lap and remaining range are also displayed. It is possible to both log itineraries and define reference routes. 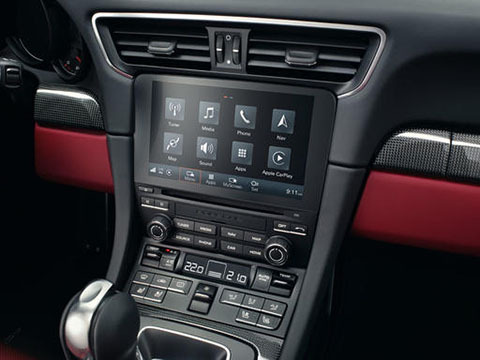 The optional BOSE® Surround Sound System has been specially developed for the 911 models and is optimally tuned to the vehicles' specific internal acoustics. The audio system has 12 loudspeakers and amplifier channels, including a robust, patented 100-watt subwoofer. 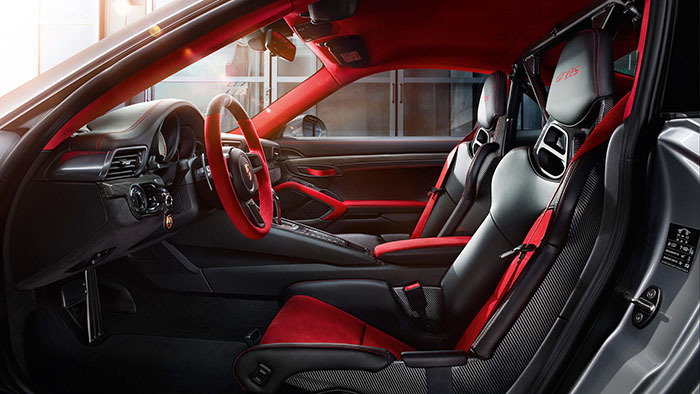 The fully active system design allows each individual loudspeaker to be optimally adjusted to the vehicle interior, transforming the 911 GT2 RS into a concert hall in the blink of an eye. Total output: 555 watts.